Showing that you are opulent and tasteful often go hand-in-hand. Then there are those who simply think in excess. I mean, you need to show that you are, in fact, royalty right? Take for example CrystalRoc. 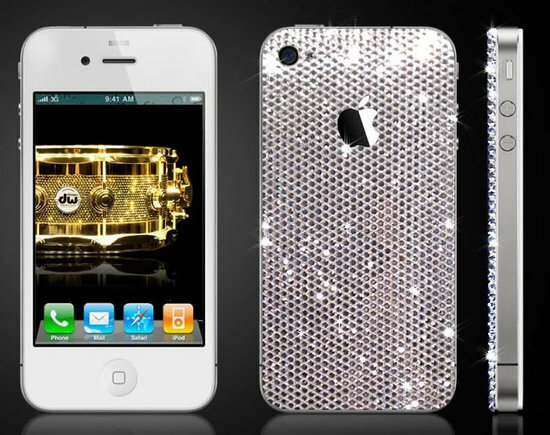 They are already offering an iPhone 4 cover with over 1,500 Swarovski crystals on the back. Sure, it’s flashy, but why would you want one? Yes, it signifies you can ‘spend’ a lot of money, but most importantly it shows you are good at wasting a lot of money. Look to spend more than a 16GB iPhone 4, or $288.75 for the rear cover. If you buy one, try not to break off the crystals with your late-night tomfoolery, but that doesn’t matter as long as daddy foots the bill.